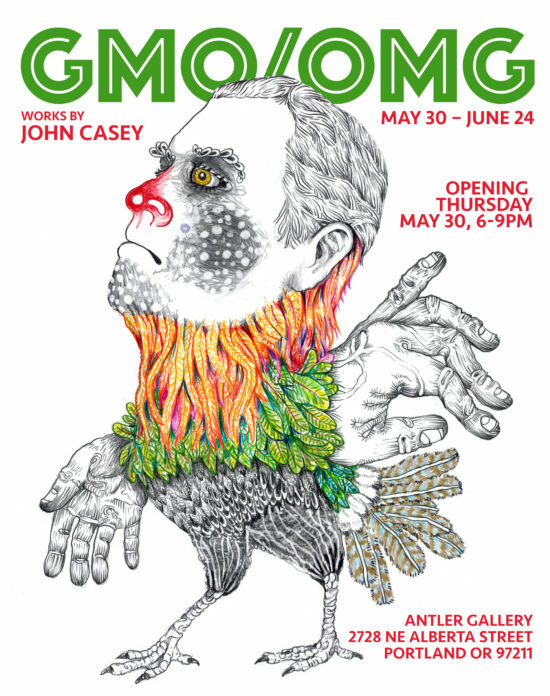 Antler Gallery in Portland, OR presents “GMO/OMG”, Works by John Casey. 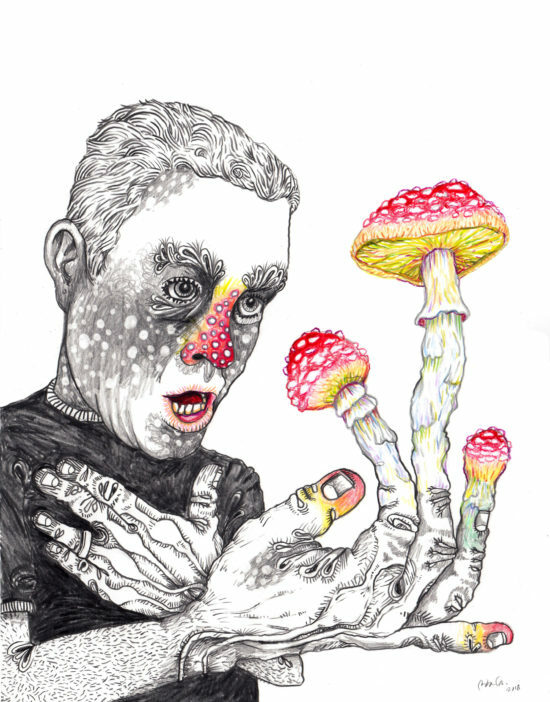 This show features surreal drawings and sculptures by the Oakland-based artist. 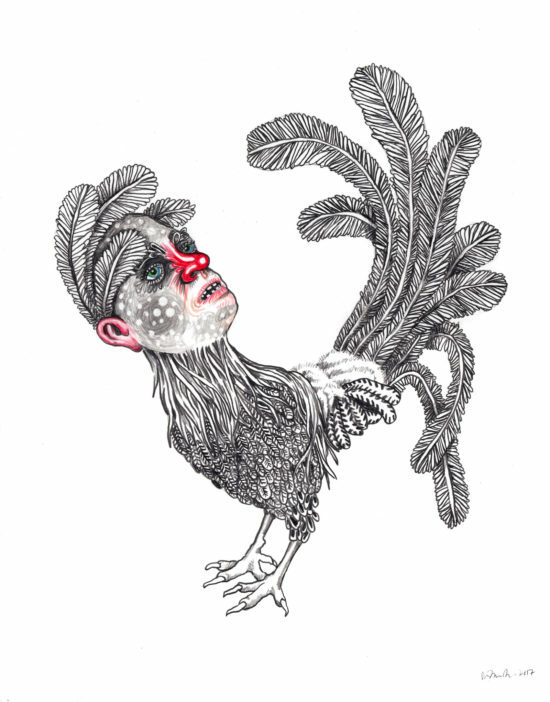 John will be showcasing his oddball and absurd creations of genetically modified organisms. 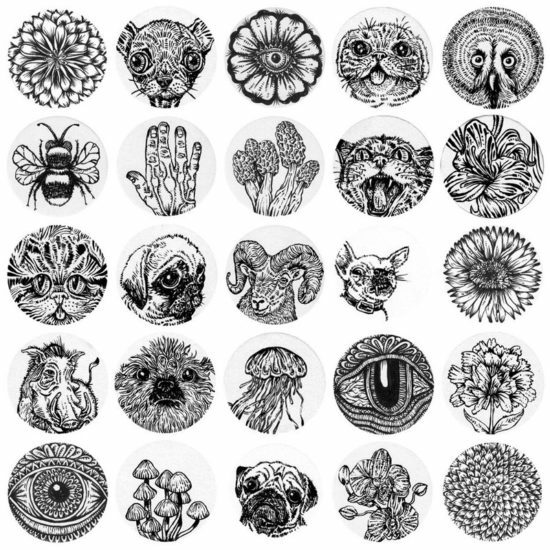 Humankind has been altering plants, animals and itself since emerging out of the primordial ooze. Now, as the world stands on the precipice of environmental collapse, our ever-inventive species will continue to modify the world for both survival and for entertainment and distraction (note various breeds of toy dogs). And we modify ourselves, physically and psychologically, in a godlike attempt to adapt to human-made environmental and societal chaos. The results are ridiculous creations, a form of art in a brave new world. 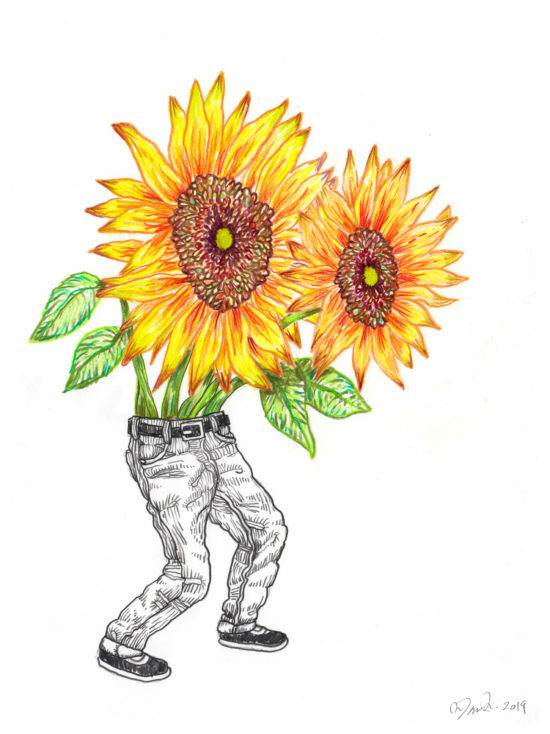 Not just genetically modified, but giddily, goofily, and gorgeously modified. 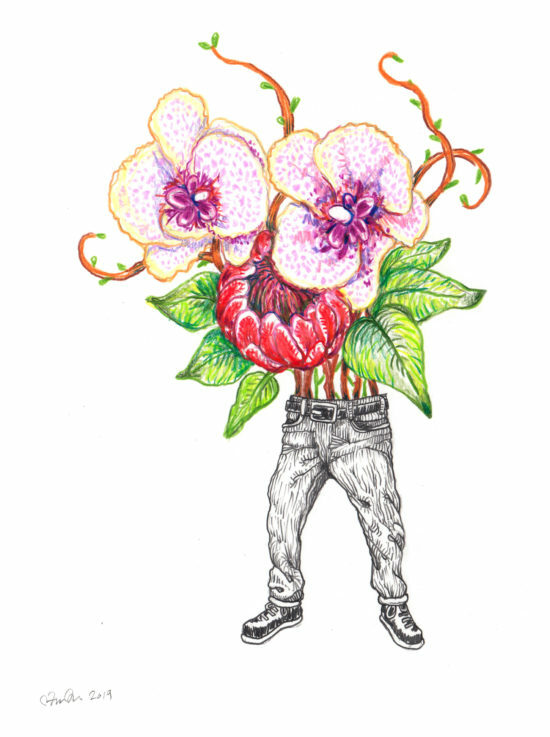 Contact gallerist@antlerpdx.com to get a preview and pricing. PAREIDOLIA is the psychological tendency to interpret a vague or patterned stimulus as something known to the observer. This is an exhibition about the things we think we see. Please join us for an opening reception from 6-9pm with refreshments and local spirits provided. 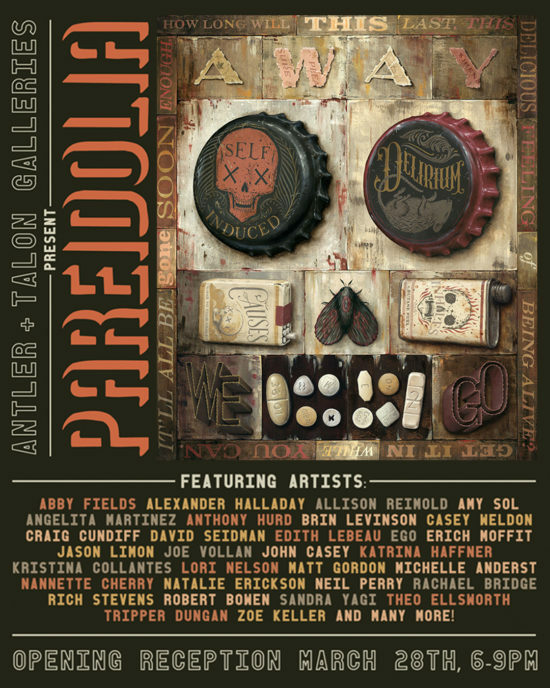 Guest curated by Casey Weldon and featuring the art of: Abby Fields, Alexander Halladay, Allison Reimold, Amy Sol, Angelita Martinez , Anthony Hurd , Brin Levinson, Casey Weldon, Craig Cundiff, David Seidman, Edith Lebeau , Ego, Erich Moffit, Jason Limon, Joe Vollan, John Casey, Katrina Haffner, Kristina Collantes, Lori Nelson, Matt Gordon, Michelle Anderst, Nannette Cherry, Natalie Erickson, Neil Perry, Rachael Bridge, Rich Stevens, Robert Bowen, Sandra Yagi, Theo Ellsworth, Tripper Dungan, and Zoe Keller. 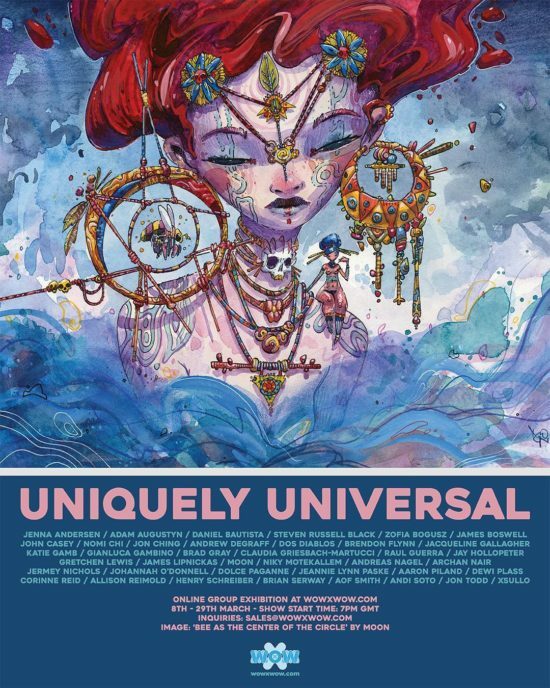 WOW x WOW Gallery proudly presents Uniquely Universal, which opens on wowxwow.com at 7pm GMT on 8th March and will run until 29th March. The exhibition features over 30 incredible international artists and consists of more than 40 new artworks. 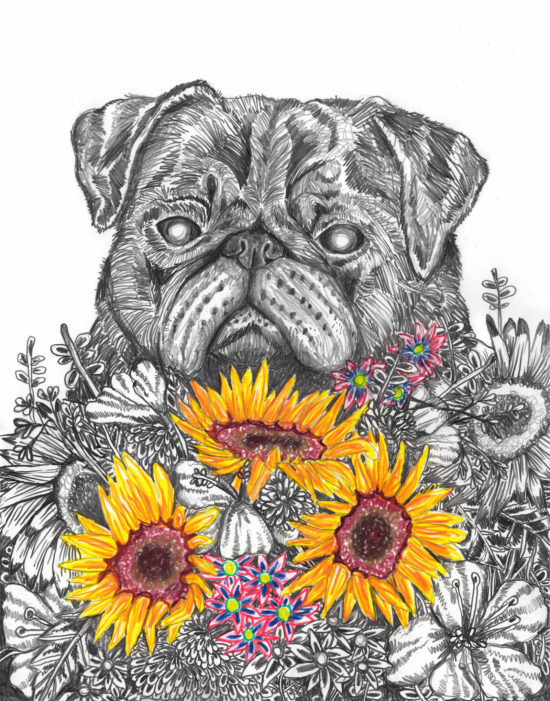 It is often the case, that the visual art which harnesses the greatest impact, arises from those moments of creation where the artist successfully taps into subject matter, themes and emotions that resonate and touch the rest of the human race. This sentiment may also be considered relevant to artwork which is created with a certain audience, group, scene or subculture in mind. In these instances, the individual captures the thoughts, feelings and passions of the larger whole, frequently adding their distinctive slant, and creating the ‘Uniquely Universal’. WOW x WOW is proud to present Nocturnal Bloom, the first show of 2019. The exhibition features over 30 incredible international artists and consists of more than 40 fabulous artworks. Creative inspiration can rise up in a vast multitude of ways, times and places. One such time, widely agreed upon by visual artists to provide deeply fruitful seedlings for further growth and development, is night-time. Whether an artist’s imagination is sparked by working through the night and tapping into the magical stillness of the small hours, or from waking up during a particularly vivid dream and having to sketch out a rough compositional idea, the night delivers an abundance of wonder and nurtures the flourishing of a truly magnificent ‘Nocturnal Bloom’.